For companies that rely on a truck scale to weigh vehicles and their contents, it’s important for the equipment to be calibrated accurately and operate proper truck scale maintenance so they don’t incur fines from excessive loads. That’s why purchasing a quality truck scale and investing in regular maintenance is crucial. We have been selling and repairing commercial and industrial scales for more than 40 years and explains the importance of buying a high-end instrument and service contract. A high-quality truck scale will last at least 25 years and probably more if you follow the recommended maintenance schedule. The frequency of service depends on the volume of traffic your truck scale experiences. A routine service call should include not only scale calibration but inspection of the foundation, weighbridge, grounding, and load cells. High-quality scales are designed with safeguards to prevent failure and damage to the instrument’s components. These features and routine preventative maintenance ensure you won’t experience unexpected service disruptions or truck scale repairs. Even the best scales aren’t flawless and will experience problems on occasion. 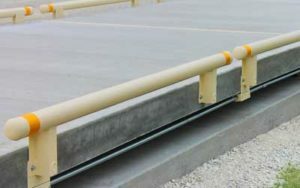 For example, rain can seep into the weighbridge, causing internal corrosion and rust that affect truck scale accuracy. Routine maintenance checks will spot these and other problems before the damage becomes severe. If you’re looking for a top-quality truck scale or assistance with repairs and calibration, schedule a visit today. We provide outstanding service to business owners throughout the greater Cincinnati area. Call (513) 353-3788 to speak with a staff member about our products and services. Like us on Facebook and follow them on Twitter for more advice from their truck scale experts.